TV Narration is really the art of telling a good story in an appropriate tone for the show in question. But the real art lies in its subtlety. With strong voice over talent behind TV show narration projects, you can expect to showcase your work in a way that’s both creatively unique, and that speaks boldly to the viewers it’s trying to reach. Bold or soft? It doesn’t matter when the narration can stand professionally on its own, regardless of how many speaking lines the actors have. Does that make TV Voice Over Narration Background Noise? No way! Despite the fact that the VO narrator’s lines are meant to sit quietly between the actors’ speaking parts, that by no means makes it unheard. Of course, if you are looking for soft, informational narration in your voice actor talent, I have you covered. 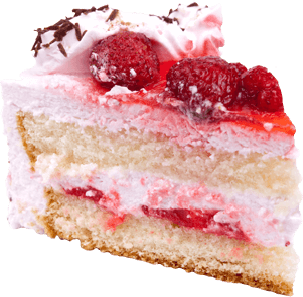 Though through the lense of TV voice over narration, soft doesn’t have to mean quiet. And yes, TV voice narration is a way of saying “background speaking.” But it’s more than that. They really should call this style of voice over acting “voice under” acting. That’s because speaking between character points, or “under” their live lines, makes the outcome of TV voice over incredibly rewarding for its listeners. As our audience watches story after story, actor after actor, aiming to bring home a point, there can sometimes be a disconnect between a scene and its message. Sure, it’s fun to make our viewers laugh, help them to feel what the characters are feeling, and get on board with your TV show out of camaraderie. But when the show is finished, what does your audience remember the most? That’s where I come in. If actors have a talent that encourages viewers to laugh, cry, and think, my professional VO narration will help them to enjoy, remember, and come back for more of your TV show. This is a team effort, and the art of background TV narration is another crucial part of the whole production process. The style of VO within In Show Narration is meant to provide a backdrop for a larger story taking place on the screen – whether that’s a wedding plan that turns into a disaster, a murder plot revealed, a natural phenomenon witnessed, or a “how to” demonstrated. There are endless counts of where, when, and why voice over narration occurs in TV scenes. And the real scoop is this: Just acting alone does not tend to do a TV show any justice. Yes, there are exceptions that break that rule of thumb. Some television successfully moves a message with just the actor’s lines, spoken through a person or animation or metaphor that performs directly in front of the viewers. But most of the time, those scenes need some support to truly uncover a point to the production. With skillful delivery that both invites the audience to invest and gives the actors room to breath their words onto the screen, my voice over for TV perfectly blends the presentation together. 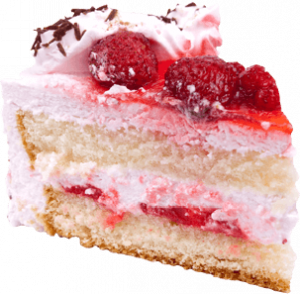 Why Piece of Cake Voice Overs & Vocals for Your TV Narration VO? I’m happy to tell your story in a way that connects with your audience – with authenticity. These days, there are so many channels, and thousands of viewing options for every person out there. VO for nature documentaries, sitcoms, news reports, reality TV, cooking segments, and plenty of additional topics are voiced over daily. So what sets me apart? From kids shows, to cop shows, comedy and drama, I can deliver what you need. There is no better way to get through to an audience than with compelling voice. There is a special bond between our audience and voice over talent that engages them, makes them remember the voice speaking, helps them to say “I love this one!” as they run back to the screen to watch between tasks. It’s all in a talented voice. The beauty of this tactic is that even when the viewers are not in the room (because let’s face it, sometimes we get up to find a snack or grab a drink), that recognizable, trusting voice can pierce through any room to reach an interested ear. 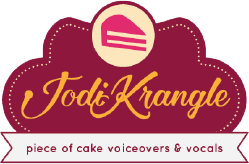 Not only can I provide that voice for your next project, I can make your VO experience a piece of cake. With a great rapport among clients, timely task completion, and a professional attitude, there are a million reasons to choose the TV voice over narration that will truly make your TV show memorable. Feel free to reach out and let’s talk.